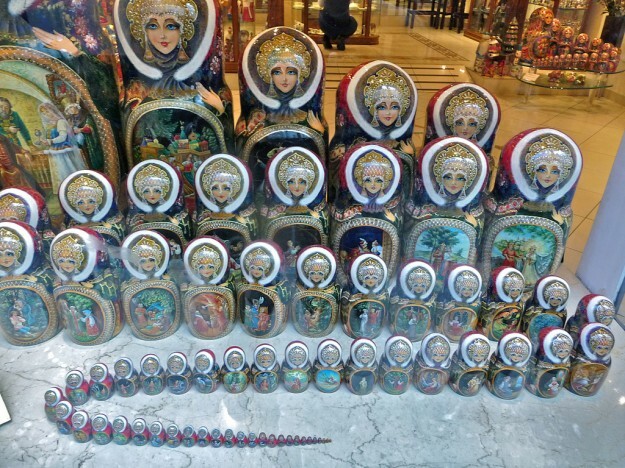 What does yoga have to do with matryoshka dolls? A lot, as it turns out. From the outside, yoga poses can look as though they don’t have much in common. Take this handful: extended side angle, triangle pose, tree pose, reclining big toe pose and extended hand-to-big-toe pose. 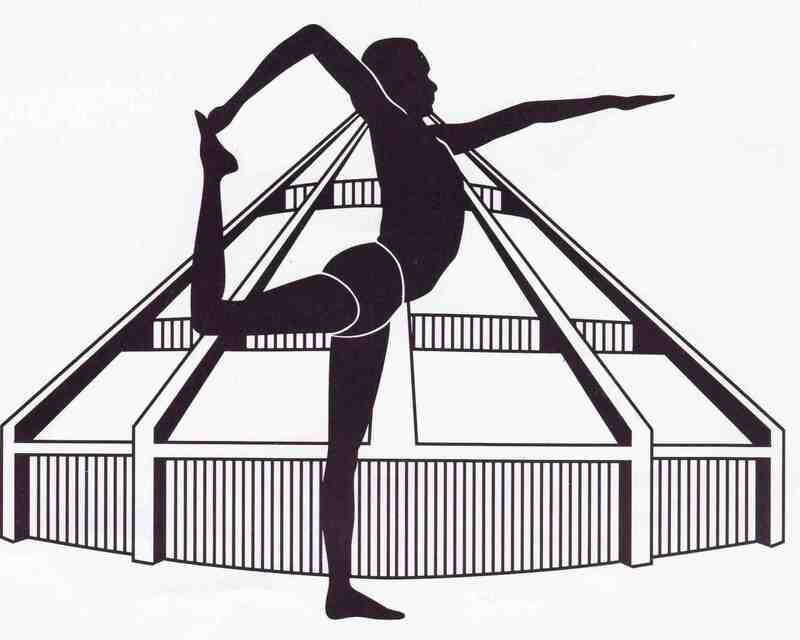 On the simplest level, orientation to gravity, you balance on one leg in tree pose and extended hand-to-big-toe, lie down for reclining big toe pose, and stand, with straight legs in triangle, and a bent front knee in extended side angle. Truth is, these poses are a lot like different layers of the same Russian matryoshka doll, with the identical small, solid nub at the centre of each one. In the case of the nesting dolls, that’s a piece of painted wood. For these poses, it’s a set of actions. 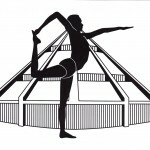 • The thigh of the back leg, or in the standing balances, the standing leg, moves from front to back. • The buttocks roll down. • The top thighbone of the front leg, or in the standing balances, the raised leg, pulls deeper into the hip socket. If you master these actions, then the rest of the pose can expand outward from a solid place. If you don’t, there’s no point in fussing with the outer layers. In the full pose there’s so much going on that it’s hard to do the actions, and especially to keep all three going at once. Toss in the challenge of balancing on one leg, and your chances of getting it right diminish even more. Strip away the outside layers of the matryoshka doll and practice the solid nub at the centre of the pose. 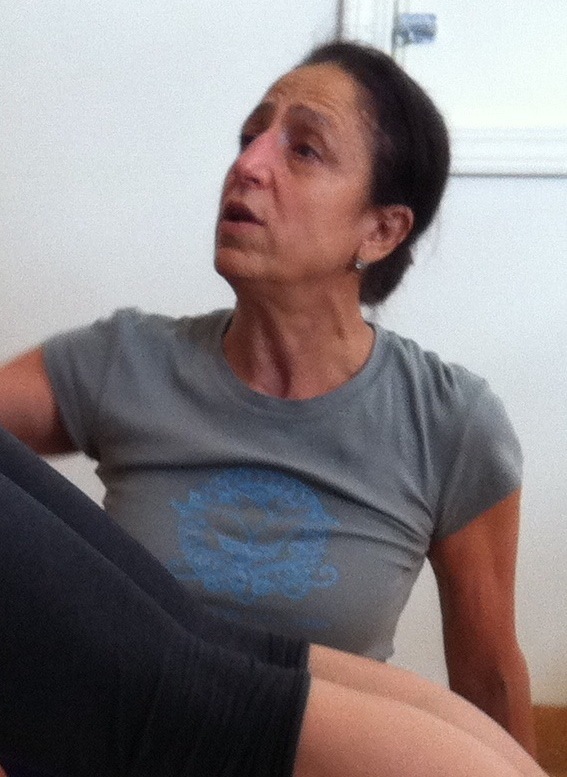 Two weeks ago, senior Iyengar yoga teacher Gabriella Giubilaro was in Vancouver on her annual visit. In the Monday teacher training session, she gave this preparation as a therapeutic pose for tight hips. We worked with two helpers and a strap. But all by yourself, with no more company than a chair, you can use it to create your own small nub of clarity and understanding. Place the chair so its side touches the wall, and its seat faces you. Have your back to the wall and bring your left foot up onto the chair. Try to line up the heel of your left foot with the middle of the arch of your right foot. If your hips are very stiff, this might not be possible. Have your left shin perpendicular to the floor. Stand tall. Lift your side ribcage. Release your shoulder blades down your back. Now press your right front thigh back toward the wall. You will notice that your buttocks rise up in response. Roll your buttocks down, without letting the right thigh move forward. If your hips are tight, your left knee will fall forward, away from the wall. Take your left hand to your inner left knee. Press your knee back toward the wall. At the same time, take the top of your left thighbone away from the wall, and deeper into your hip socket. Again, stand tall. Then rotate your left ribcage toward the right, without disturbing your left thigh. Repeat with the right leg on the chair. Once you’ve tried both sides, move into extended side angle pose (Utthita Parsvakonasana). 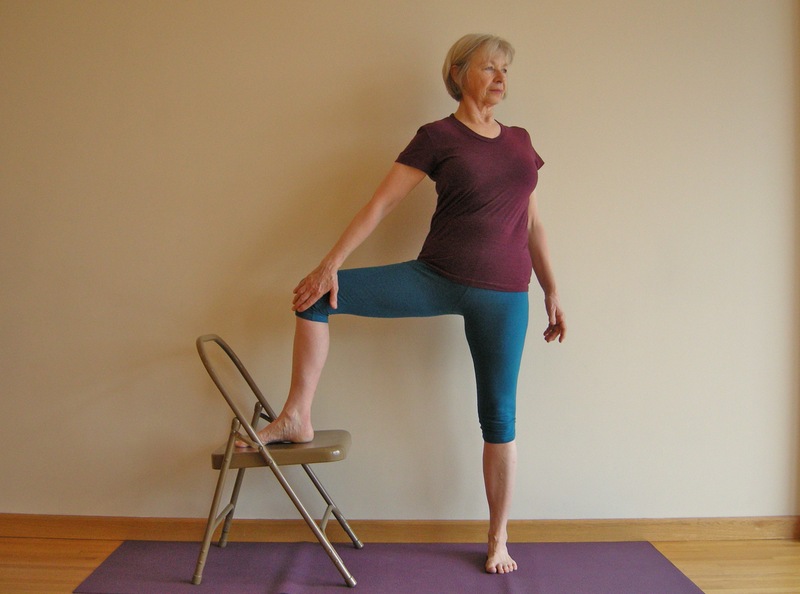 Go mindfully into the pose, keeping all three actions from your work on the chair. You may be surprised by how clear the work in your hips and legs has become. Matryoshka dolls photo courtesy of Art Poskanzer, via Flickr, chair photo courtesy of Mary Balomenos. Yoga magic: if you don’t know where you’re going, how do you get there? 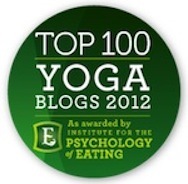 Would you like to be talked through 11 five-minute yoga practices? Then check out the My Five Minute Yoga Practice app. Complete with longer practices, modifications, your own sequence builder, and a timer that can set two alarms a day. Build your home yoga practice for less than the cost of a cup of coffee. Next post: News Flash: I have a skeleton! Previous post: Serenity now? Let’s hope so.